MCC partnered with governments and organizations from the United States, Africa, Europe, and the Middle East to help build the Metolong Dam, a key to Lesotho’s water security and one of the its largest infrastructure programs since independence in 1966. Lesotho, an extremely poor, landlocked country is surrounded by mountains and the country of South Africa, one of the largest economies in sub-Saharan Africa. Despite being a part of the rapidly growing Southern African Development Community (SADC), the country historically has been unable to unlock the potential of its two greatest resources—its water and its people. Economic growth has remained sluggish for more than 20 years. MCC signed a $362.5 million compact with the Government of Lesotho designed to increase economic growth and reduce poverty in July 2007. The compact funded work with other international donors on one of the largest infrastructure improvement projects in Lesotho’s history, the Metolong Dam, as well as work with PEPFAR (the President’s Emergency Plan for AIDS Relief) to mitigate the negative economic impacts of poor maternal health, HIV/AIDS, tuberculosis and other diseases. The MCC compact integrated conclusions from Lesotho’s poverty reduction plan, the result of a three-year consultative process led by the government involving 20,000 people in 200 villages across the country. By the end of the compact in September 2013, the government and MCC had spent nearly 99 percent of anticipated compact funds to improve water supply, increase access to essential health services, and remove barriers to private sector investment. Approximately 1 million people are expected to benefit from the investments. Estimated benefits at compact close correspond to $277.4 million of compact funds, where cost-benefit analysis was conducted. Estimated benefits corresponds to $143.65 million of project funds, where cost-benefit analysis was conducted. The crisis in human health resources is a major issue in Lesotho, as in the rest of southern Africa. This has the potential to severely hamper the country’s efforts to reduce poverty and promote economic growth. The country faces difficulties retaining nurses and clinicians due to poor working conditions and greater career opportunities offered outside the country. Lesotho has one of the highest HIV/AIDS prevalence rates in the world—more than one of every five adults in Lesotho is HIV-positive, according to United Nations figures. Because only half of Basotho women give birth at medical facilities, there is also no way to ensure they are taking appropriate precautions to avoid spreading HIV, leading to infection in many newborns. Combining the efforts of the Government of Lesotho, the President’s Emergency Plan for AIDS Relief (PEPFAR) program and other donors, the objectives of the Health Sector Project were to mitigate the negative economic impacts of poor maternal health, HIV/AIDS, tuberculosis and other diseases. The U.S. Agency for International Development and the Centers for Disease Control and Prevention, working through PEPFAR, supported complementary public health policies, expanded HIV/AIDS prevention and care, strengthened the country’s health management information systems, and coordinated ongoing training for nurses. During the compact, PEPFAR expanded its program to prevent mother-to-child transmission of HIV/AIDS to each of Lesotho’s 10 districts and to increase the number of health centers at which it works. improving occupational health and safety and medical waste management practices. By compact end, 14 outpatient health departments, the National Reference Laboratory, a National Blood Transfusion Center, and student and staff lodging at the training college were renovated and equipped. The number of blood units collected yearly by mobile collection units increased 124 percent from 3,381 to 7,593, and nearly 200 health practitioners were trained in infection, prevention, and disease control. Several initial targets were not met as a result of construction delays on health centers. The government funded and managed the completion of the health centers within one year of compact closure, and post-compact monitoring will provide updated performance data in the future. MCC’s original ERR of 12 percent was reduced to 6 percent after factoring in increased costs, borne by the government, decreased benefits due to incorrect baseline assumptions, and adding other donor costs for benefits which were attributable to the efforts of other donors in addition to MCC. MCC is conducting a combined independent performance evaluation of the infrastructure and Health Systems Strengthening Activities within the Health Sector Project. The evaluation will assess what services are provided in the renovated facilities, measure staffing and use of the facilities, change in key health outcomes, and improvements in overall health systems. Data collection took place in 2018 and final results should be publicly available by early 2019. Estimated benefits corresponds to $20.95 million of project funds, where cost-benefit analysis was conducted. training and outreach to support gender equality in economic rights. By the end of the compact, MCC funds contributed to Lesotho’s increase from a baseline of 27 commercial cases resolved in 2008 to 158 cases resolved in the final year of the compact. More than $537 million in loans were provided by the country’s financial institutions, and the time to process a loan application was reduced from seven days to three during the compact. The government reported that they are continuing to regularize and register parcels post compact, and the number of cases filed at the commercial court increased from 149 in the year before the compact to 297 in the year following the compact. As Lesotho was developing its MCC compact in 2005, MCC worked with the parliament to draft legislation to give married women the same legal status as men. The legislation passed parliament and was signed into law in 2006. The MCC compact program in Lesotho included funds for teams to conduct training targeted at women entrepreneurs, and involved a country-wide outreach program to inform women in rural areas of their new rights. As part of the Gender Equality in Economic Rights Activity, 6,200 people received training on gender equality advocacy. In addition, more than 21,000 women now hold joint land titles compared to 3,200 at the start of the compact. There are two evaluation components of the Private Sector Development Project’s Land Administration Reform Activity. This includes an impact evaluation of the systematic regularization work in Maseru and a performance evaluation of the Land Administration Reform Activity’s Legislative Reform and Modernization and Institutional Strengthening Sub-Activities, which established a new Lesotho Land Administration Authority, revised related land legislation and streamlined and strengthened procedures related to land administration. The performance evaluation will measure impacts on 1) the change in time to conduct a formal land transaction, including primary application for a formal lease and secondary formal land transactions; 2) the change in volume of formal land transactions; and 3) the change in number and amount of land related bonds/ mortgages. Initial monitoring of administrative data provided by the Lesotho Land Administration Authority showed improvements in volume of land transactions, mortgages, time to conduct a land transaction, and the number of women with land with leases held individually in their name or held jointly. The evaluator will review this data and collect additional data in 2018, with final analysis and results expected at the end of 2019. The impact evaluation of the effects of the Land Leasing sub-activity will capture changes in perceptions of land tenure, land investments, and land values. The evaluator provided the baseline report in 2016 and follow-up data collection is expected in late 2018 with final results expected to be available at the end of 2019. Estimated benefits corresponds to $131 million of project funds, where cost-benefit analysis was conducted. By the end of the project, 13 water reservoirs were constructed and another five rehabilitated, five pumping stations had been upgraded, nearly 30,000 latrines were built, and 208 water retention structures in the wetlands activity areas were completed. MCC conducted an independent impact evaluation of the Rural Water Supply and Sanitation Activity that aimed to measure use of MCC-funded infrastructure and key related outcomes such as household hygiene behaviors, time spent collecting water, incidence of diarrhea, and household incomes. The evaluation, which was published in January 2018, found that households in the treatment group were more likely than those in the control group to use as their main water source an improved water source, such as a public standpipe or a protected spring, as opposed to an unimproved source, such as an unprotected spring or surface water. They are also more likely to use a toilet and spend less time collecting water. However, the evaluation did not find any impacts significant at standard levels of confidence for any of the diarrhea incidence indicators analyzed, although most of the estimated effects have the (negative) expected sign. The evaluation also did not find any effects for any labor outcomes, or income. An important exception to this is that it found that the program had a positive and significant effect on female labor participation. The evaluation discusses the mechanisms that can explain why the effects on labor outcomes were not more apparent. In particular, it is possible that time availability did not translate into better labor outcomes in these rural communities because the latter are not restricted by time availability but by other conditions, like the labor market itself. An independent evaluation is also ongoing for the Urban and Peri-Urban Water (UPUW) and Metolong Dam Activities. To-date, the evaluator undertook a process evaluation to assess how these Activities were implemented and managed, report on current functionality and use, derive lessons learned that can be applied to future Compacts, and help focus a summative evaluation. It included two components: an implementation fidelity assessment and a performance evaluation. The key results of the process evaluation as presented in the summative evaluation design report, demonstrate that implementation at four sites was successful, i.e., the “site is able to deliver water as intended due almost entirely to UPUW Activity programming”; four sites were remediated, i.e., the “site is able to deliver water as intended only due to WASCO remediation of failed UPUW infrastructure”; and two sites were considered failures, i.e., “WASCO has been so far unable to remediate failed UPUW infrastructure, and the site is unable to deliver as intended.” The evaluator built on these findings to develop a summative evaluation design aimed at measuring changes in water demand, supply, use, and time savings. Data collection will proceed in late 2018 and results will be available in 2019. The Lesotho Compact included broad capital investments in infrastructure and major service delivery systems like those that manage water distribution. Because MCC compacts are a fixed amount implemented over five years, partner governments must focus on attaining compact results while balancing changes in costs and speed of implementation. As projects encountered higher-than-anticipated construction costs—based on additional technical and regulatory information about the design of compact investments—the government committed additional funding to cover these cost overruns and avoid a reduction in scope of the compact’s Health Sector Project. The Rural Water Supply and Sanitation Activity infrastructure was scaled up to increase latrine coverage, while funding for the Civil Legal Reform Activity within the Private Sector Development Project was increased as well. Construction progress for the Health Sector Project was 88 percent complete by compact end, with contractors having completed 46 of 68 MCC-funded and 10 of 70 government-funded health centers. By July 2014, the remaining health centers had been completed by contractors using government funding. MCC cancelled the Automated Clearing House Sub-Activity within the Private Sector Development Project in December 2010, determining it would not accomplish the economic growth and poverty reduction outcomes envisioned during compact development. The remaining $600,000 in the sub-activity was transferred to the Debit Smart Card Sub-Activity in May 2012, which targeted expanding financial services to people living in remote areas of Lesotho. In February 2012, the government officially requested removing National ID cards from the National ID and Credit Bureau Activity of the compact, to align the activity with its own national e-passport initiative. The component was subsequently removed, and its $8 million funding directed where there were shortfalls, including the Urban and Peri-Urban Water Network Activity. Close coordination with governments, other international donors and development agencies saves time and money. This kind of cooperation avoids costly duplication and unsuccessful approaches, minimizes transaction costs for partner countries, and is critical to the success of MCC compacts. The Lesotho Compact was implemented with the support of strong U.S. Government interagency partnerships. MCC took a ‘whole of government approach’ and coordinated compact projects with CDC, USAID and PEPFAR. The $600,000 PEPFAR Gender Challenge Grant Fund was awarded in July 2010, and has since been used to provide small grants to entrepreneurial women in Lesotho. The Peace Corps and MCC broke new ground in assigning a Peace Corps volunteer to work with a Millennium Challenge Account for the first time. These partnerships supported complementary public health policy, expanded HIV/AIDS prevention and treatment services, and served to strengthen Lesotho’s national health systems. The government committed approximately $100 million to cover cost overruns during implementation of the compact, and another $50 million after the compact term to complete projects and support sustainability. These additional funds preserved the original scope of the Health and Water Sector Projects, thereby contributing to the country’s stake in compact benefits. Additionally, the government assured funds for staffing and administrative costs of operations for the Commercial Court, mediation and small claim procedures, and the automated case management elements of the Private Sector Development Project following the close of the compact. 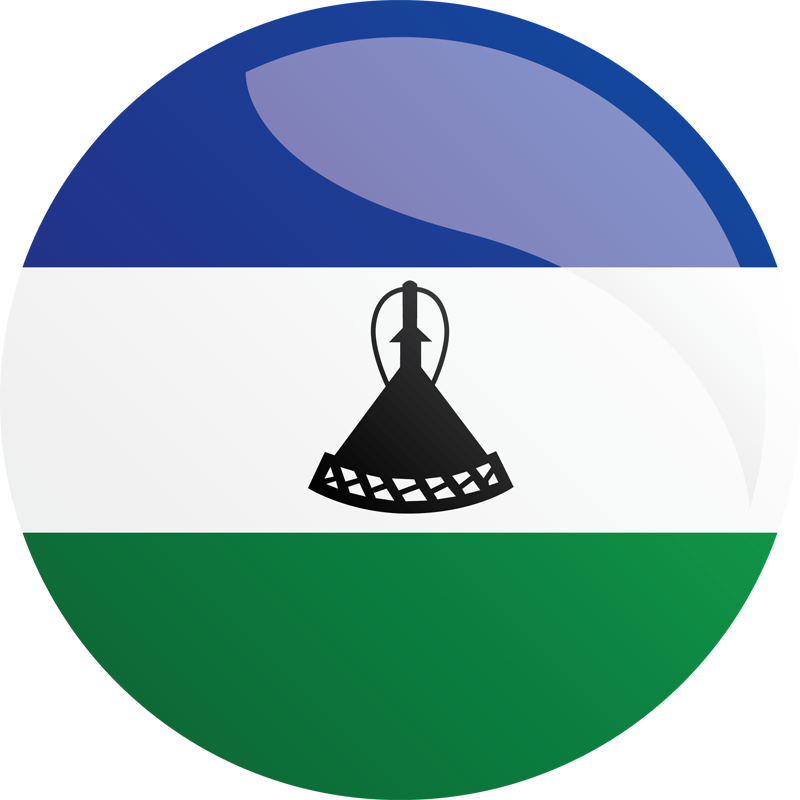 As a result of MCC’s role in connecting the government with the World Bank’s Public-Private Infrastructure Advisory Facility with the International Finance Corporation, the parties formed a public-private partnership that addressed internet connectivity gaps in health centers funded by MCC throughout Lesotho. 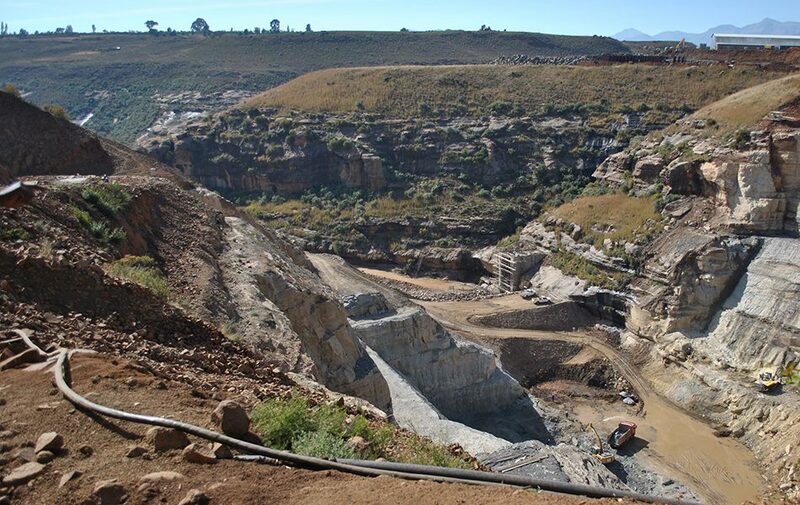 Finally, MCC coordinated with the World Bank, the European Union, the OPEC Fund for International Development, the Kuwait Fund for Arab Economic Development, the Arab Bank for Economic Development in Africa, and the Saudi Fund for Development on construction of Metolong Dam and a related bulk water conveyance system, one of the largest infrastructure improvement projects in Lesotho history. To promote and encourage desired investment outcomes under the compact, MCC and the government agreed that the following conditions precedent would be met before entry into force of the compact agreement or before disbursements of funds needed for the projects identified below. Successful implementation of reforms in case management in High Court and Commercial Court. Successful operation of Commercial Court – with appropriate jurisdiction, new procedural rules including mediation procedures, and sufficient dedicated staffing. Full implementation delayed due to delayed procurement of computerized Case Management Systems. However, many process reforms made on time. The Government will, to the satisfaction of MCC, undertake a comprehensive technical review and update of the 2005 National Healthcare Waste Management Plan, including but not limited to preparation of updated capital and recurrent costs associated with the plan and a long-term finance strategy for funding these costs. The Government will have enacted any new medical waste management legislation, and/or reform any existing legislation, that has been prescribed in the updated National Health Care Waste Management Plan, to include but not be limited to, new or reformed policies, regulations, and standards pertaining hazardous waste management, occupational health and safety, infectious disease control, pollution prevention, and/or related subjects, per the recommendations of the updated plan. The management plan and recurring costs were met on time. The Legislation was deferred one quarter due to multi-ministerial review. A related condition laying out the operationalization of decentralization encountered delays, was partially deferred, and completed by September 2012. Implementing Entity Agreement between MCA-Lesotho and the Ministry of Health and Social Welfare signed and effective. Passage of legislation that enables the establishment of a new land administration authority that is professionally managed, autonomous in operations, self-sustaining, and provides efficient and cost-effective land administration services to public and private users. Nine month delay: funding of the Land Activity was suspended for 45 days until the Act was passed. Passage of a new Land Act and implementing regulations that: (1) establish greater land tenure security for all land occupants; (2) include provisions for compulsory acquisitions of land by the State that ensure prompt payment of compensation and protection from arbitrary takings; (3) ensure gender equity in land ownership and land transactions and is congruent with the Legal Capacity of Married Persons Act; and (4) establish a simplified framework for systematic regularization and registration of land and mechanisms that increase access to land and encourages formalization of land rights. Twelve month delay: funding of the Land Activity was suspended for 45 days until the Act was passed. Full funding for Metolong Dam Project such that no material funding short fall is present based upon the confidential cost estimate of the dam design engineer. $300 million additional funding in loans leveraged to address shortfalls.